Oh the weekend, a time to run errands, catch up on laundry and maybe sneak in a few yoga classes. The photo above was featured in a posting from Style Chronicle this week ad I died and went to heaven. 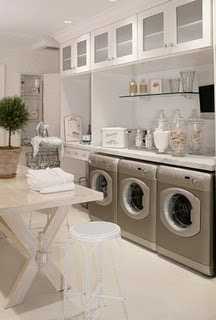 I could not imagine a more calming and peaceful laundry room. What a wonderful place to iron! 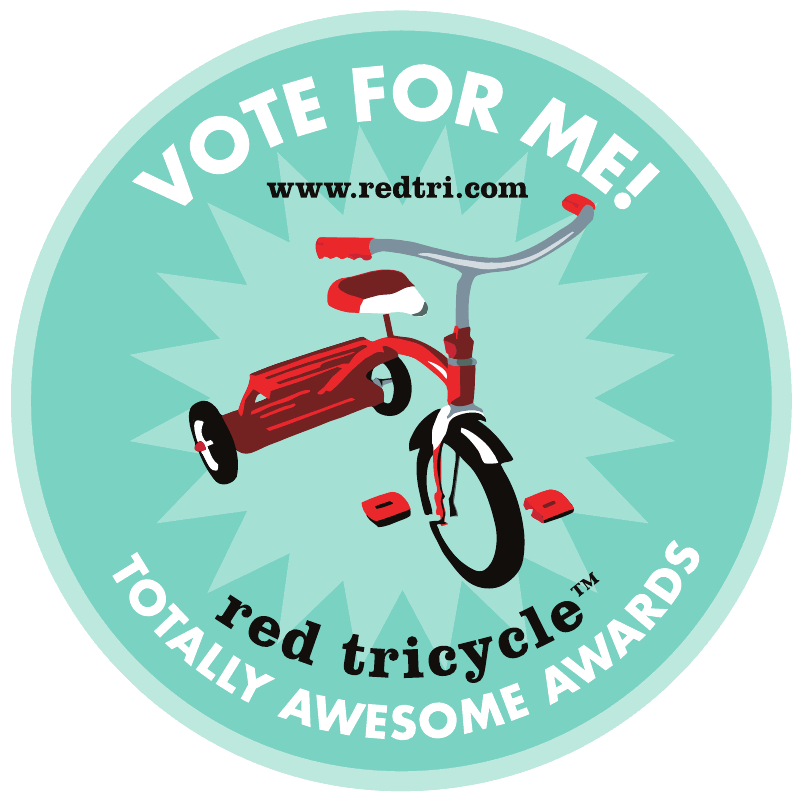 This one is my ultimate and highly doubtful that it will ever be attained. But I mean seriously, I love the clean and crisp organization and the center islands with leather handles (they look very Ralph Lauren). A perfect dressing room for my type "A" personality. The closet above might be a reality someday, maybe...very doable and can fit in a smaller and more realistic floor plan (for beach living). Image from Vivre founder Eva Jeanbart-Lorenzotti. Now see the image below? 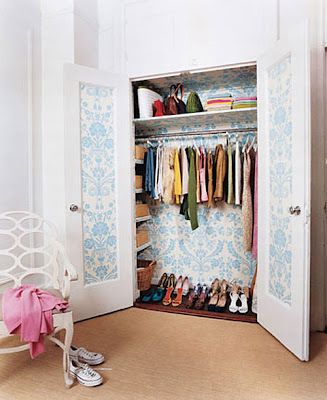 Anyone can easily put wallpaper in their closet and look what a difference it makes! Especially if you have doors that open up like this. I like this touch especially for a nursery or playroom closet. Attainable or not, these closet inspirations are just so beautiful to look at. Closets and cabinets are becoming prettier by the day! I have seen some models here http://www.closetsnbeyond.com that are just delightful! Closet dreaming is a good thing!